Dried paint can be a challenge to remove from hardwood flooring without causing major damage, especially if the paint is oil based. Caution must be taken to prevent harming the finish or gouging the wood. Many chemical cleaners are too harsh to use on this type of floor but there are methods to safely lift dried paint. 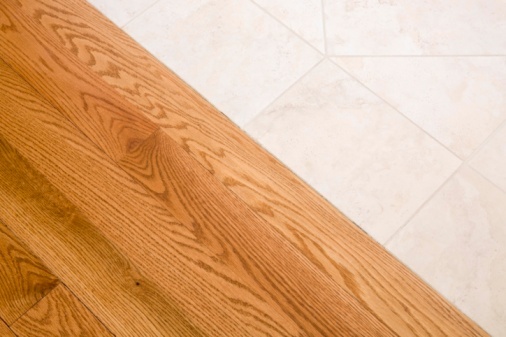 Review some simple but effective tips on how to get old paint off of a wood floor. Determine if the paint is water based or oil based. If you have the paint container the label should state this. Water based paint can be lifted with soap and water. Use a damp paper towel to rub the paint stained wood. This will help moisten water based paint and make it easier to remove. After a few minutes try lifting the damp paint with a clean rag. 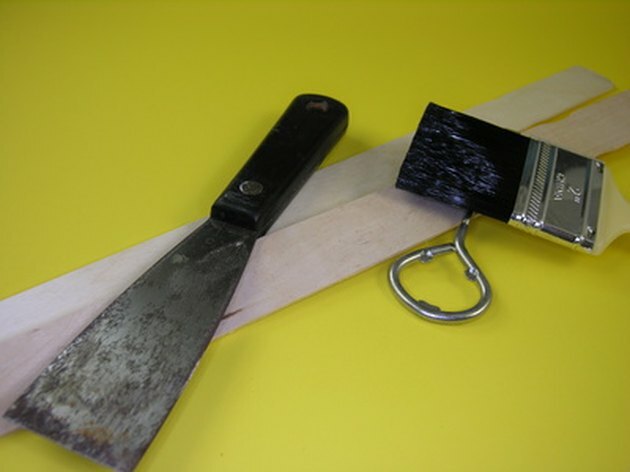 Use a dull butter knife or credit card to gently scrape dried paint off of your wood floor. This method has the least risk of damage to the floor finish. Apply a small dab of denatured alcohol, which can be bought at most building supply stores, on a rag. This will remove dried oil based paint without causing damage. Gently rub the paint stain until the it is lifted from the wood. Dry with a paper towel and dispose of the rag.